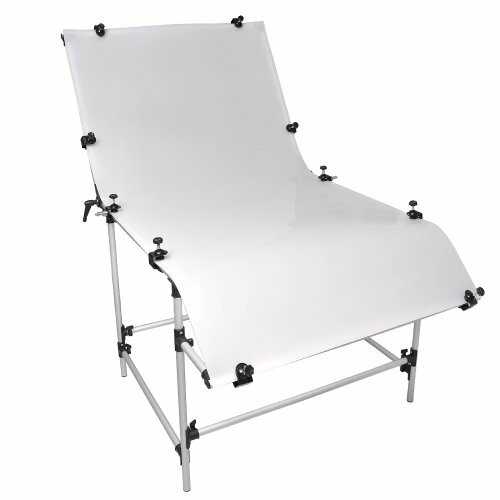 The professional table is suitable for all level photographers from amateurs to professionals. No need extra photoshop retouching and Save much more time. Get your perfect product pictures directly after photographing. Can be lit from above, below, behind, or around the subject for sufficient exposal and brilliant image with precise control. ? ?Adjustable back frame turns from 90 degrees to 180 degrees independently.